The medical advisory board will work with icometrix to transform patient care of people with neurological diseases. With the CE-marked and FDA-cleared icobrain portfolio being used globally to aid the diagnosis of multiple sclerosis, dementia and traumatic brain injury, icometrix is currently experiencing a phase of rapid growth. icometrix and will draw on the experience and knowledge of these experts to ensure that the icobrain portfolio can as seamlessly and effortlessly as possible support physicians in their daily practice. 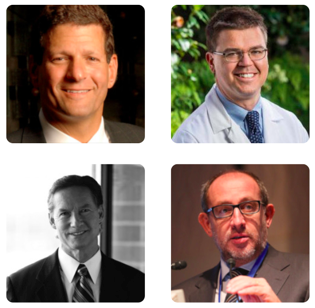 “We are proud to have these leading neuroradiologists by our side who share our vision to help extract clinically important information from brain MRI scans that might otherwise have been missed by the naked eye. We are confident that these experts can guide us to reach as many radiologists as possible to ultimately make an important change in the lives of the patients they help.” says Dr. Wim Van Hecke, CEO of icometrix. icometrix (Leuven, Belgium; Chicago, IL, USA) is the world leader in software solutions to obtain clinically meaningful data from brain MRI scans. The fully automated icobrain software is FDA cleared and has market approval in Europe, Japan, Canada, Brazil and Australia. Today, the icobrain software is used in 100+ hospitals and icometrix works with the largest health tech and pharmaceutical companies on the evaluation of drug trials for neurological diseases.